Freedom and Independence? Ha! Nice one, Harrison. Unfortunately, it seems the situation has gotten worse. 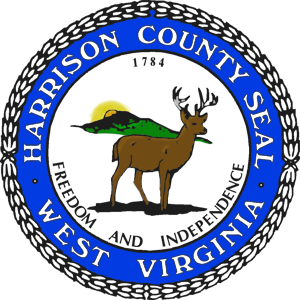 The Superintendent in Harrison County, one Mark Manchin, has gone public with his anti-opt out position. “We simply cannot allow them to opt out,” he said on the Mike Queen Show, “or decide that they don’t want to participate in the statewide assessment.” Manchin went on to say that he had given school principals the authority to discipline students at their discretion for failing to take the test, which, it should be repeated, the State Superintendent said they were allowed to refuse. The county is classifying the decision to opt out as “insubordination” and applying appropriate disciplinary measures, although Manchin stopped short of detailing exactly what these might be. This kind of county-by-county tyranny further underscores the need for more school choice in West Virginia. If a school denies the student’s right to opt out of a test, the student should be able to opt out of that school and pursue education in a county that values parental choice more highly. As things stand, students are forced into schools based on where they live, and depending on the county, are forced into tests that neither they nor their parents think are beneficial to their educations. What if, indeed? Maybe people would get the education they actually want instead of that which the government decides to ram down their throats. Education should not be a battle of teachers against parents, but rather should be a collaborative search to find the best, most effective methods for each individual child. The adversarial relationship these centralized standards are creating is one of the most potent objections to Common Core and the Smarter Balanced Assessments.